2016 Chevrolet Camaro - All You Need To Know! Wallace Chevrolet > Camaro > The 2016 Camaro – All You Wanted To Know! The 2016 Camaro – All You Wanted To Know! The 2016 Camaro is finally here! The brand-new pony car has finally arrived on our lot and it’s lighter, faster, wider and cheaper than the fifth-generation vehicle it replaces! Here’s all you ever wanted to know about the newest muscle car from Chevrolet! The all-new 2016 Camaro is a brand new vehicle both inside and out. Designers started from a clean sheet of paper and the vehicle itself sits on a new, lightweight chassis (called ‘Alpha’) that makes Camaro6 more than 200 lbs lighter than the vehicle is replaces. And when we say all new, we mean it! Just two parts carry over from the last car: The bowtie badge and the SS emblem. Yup, it’s a whole new Camaro! –> A new 2.0L I4 Turbo (275 hp & 295lb-ft of torque) helps Camaro scoot to 60mph in 5.4 seconds. –> Likely the most popular option, the 3.6L V6 (335 hp and and 284lb-ft of torque) zips to 60mph in 5.1 seconds. 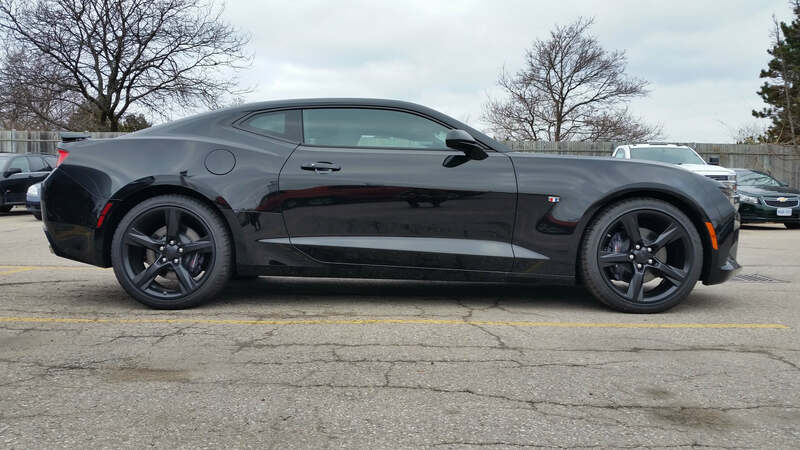 –> Step up to the SS model and you’ll get a fire-breathing 6.2L V8 LT1 (455 hp & 455 lb-ft of torque) that hits 60mph in 4-seconds flat! The designers of the sixth-generation Camaro knew the interior had to be improved, and that design focus is clear once you step inside. 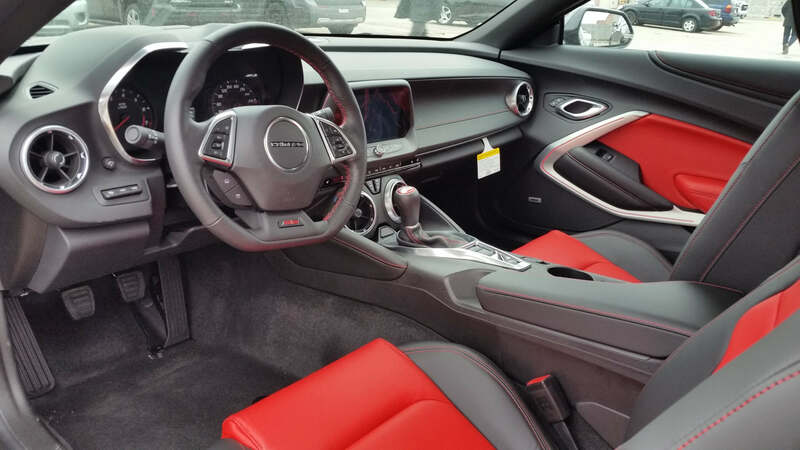 Now, occupants are treated to premium materials, rich textures, tailored stitching, awesome rotating HVAC vents, sport seats with available heating/cooling, flat-bottom steering wheel, available eight-inch MyLink touchscreen with Apple CarPlay/Android Auto, available Interior Spectrum Lighting, and more! You’ve got to see it to believe it! Amazingly, the new Camaro is available with six-different powetrain combinations! Each of the three engines can be paired to a six-speed manual transmission or GM’s new eight-speed automatic transmission. With three manual variants and three automatic variants on offer customers can easily find which combination best suits their driving style. 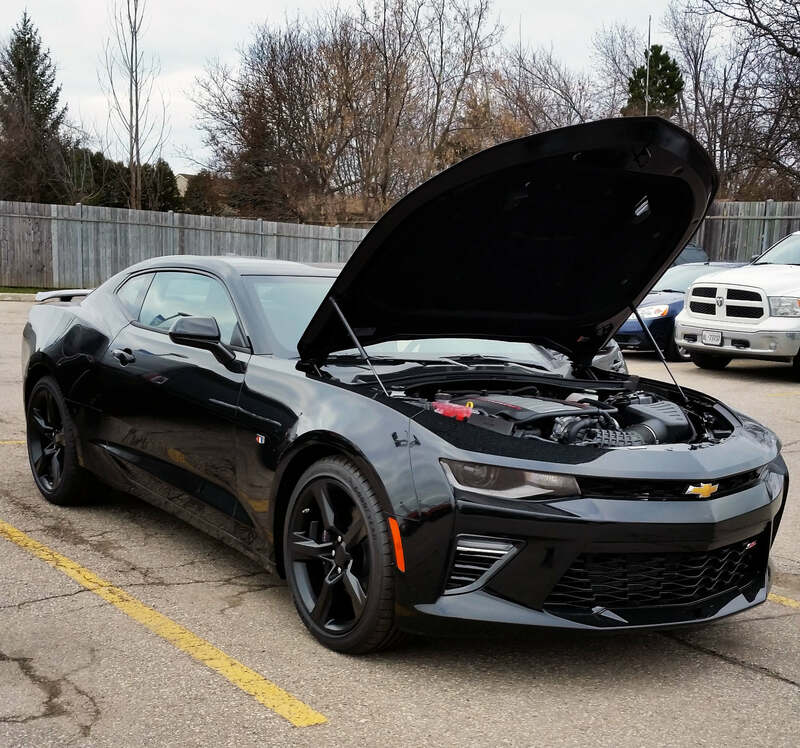 The new Camaro is available in LT (1LT, 2LT) & SS (1SS, 2SS) trim levels, and each can be fitted with a variety of different options and customizable accessories. If you think that’s a reasonable sum you’re well on the money (no pun intended), as Chevrolet points out the 2016 Camaro 1LT is priced $2,575 less than the 2015 model while offering significantly more standard features like Chevrolet MyLink with, Apple CarPlay, OnStar 4G LTE and even LED daytime running lamps.